After experimenting during three years, the Muuto Cover chair emerges, a weightless and still strong armchair, which makes the interplay with wooden veneer even more extreme: A layer of wood is folded around the armrests. That’s a playful, decent detail, which is only possible since there is modern wood processing – and it was born out of necessity. It was initially developed without the “Cover”, but then the designer Thomas Bentzen realized how uncomfortable and slim the armrests of his chair were. He added the small detail which makes the Cover chair even more comfortable. 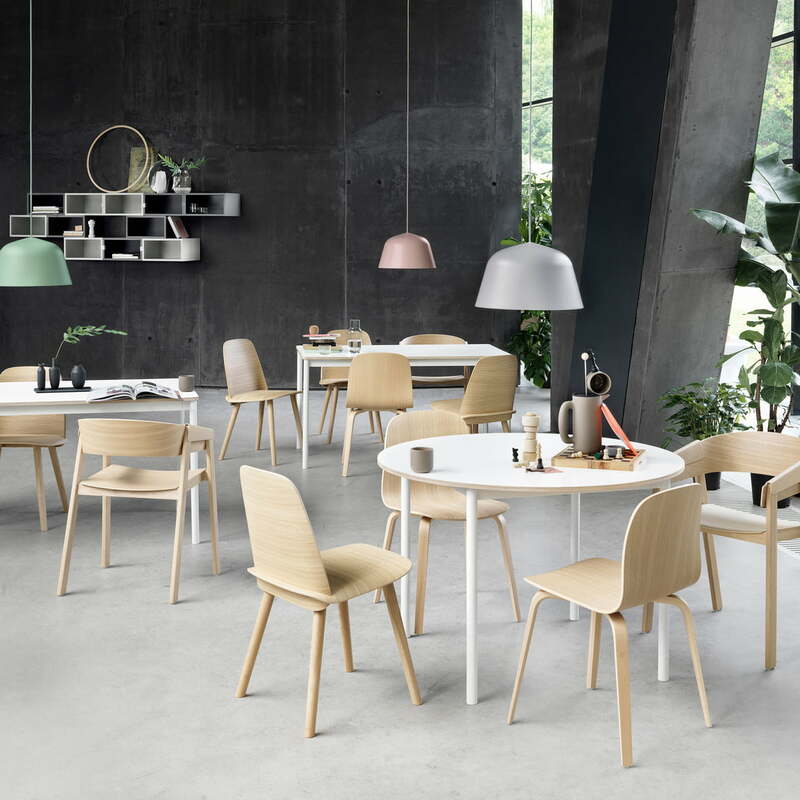 Muuto produces the Cover chair completely out of oak or ash wood (in the coloured edition) and without any metal. 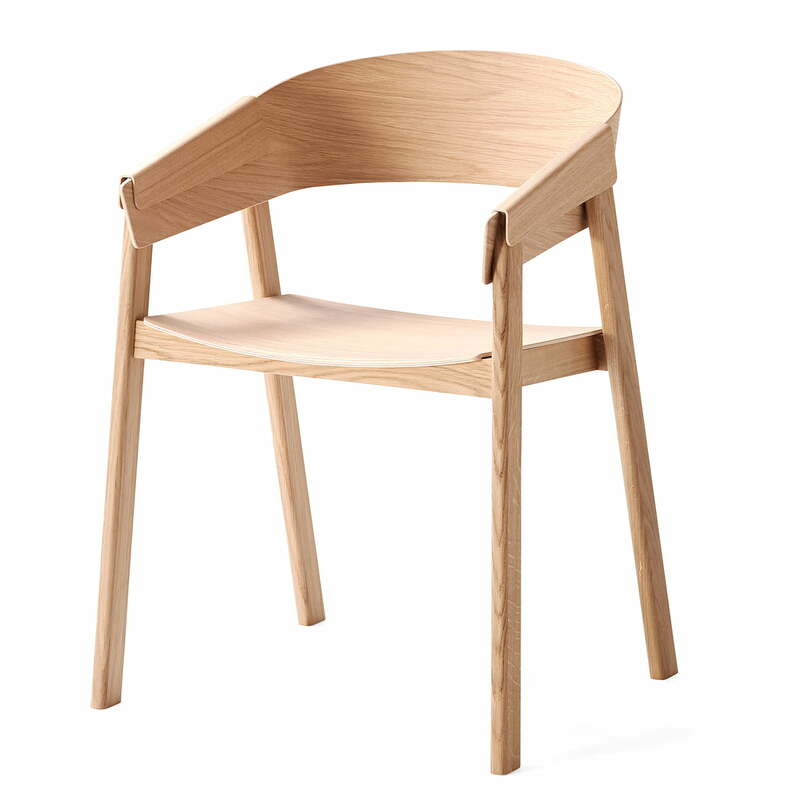 The wood surrounding the armrests also serves as fixing element for the legs. 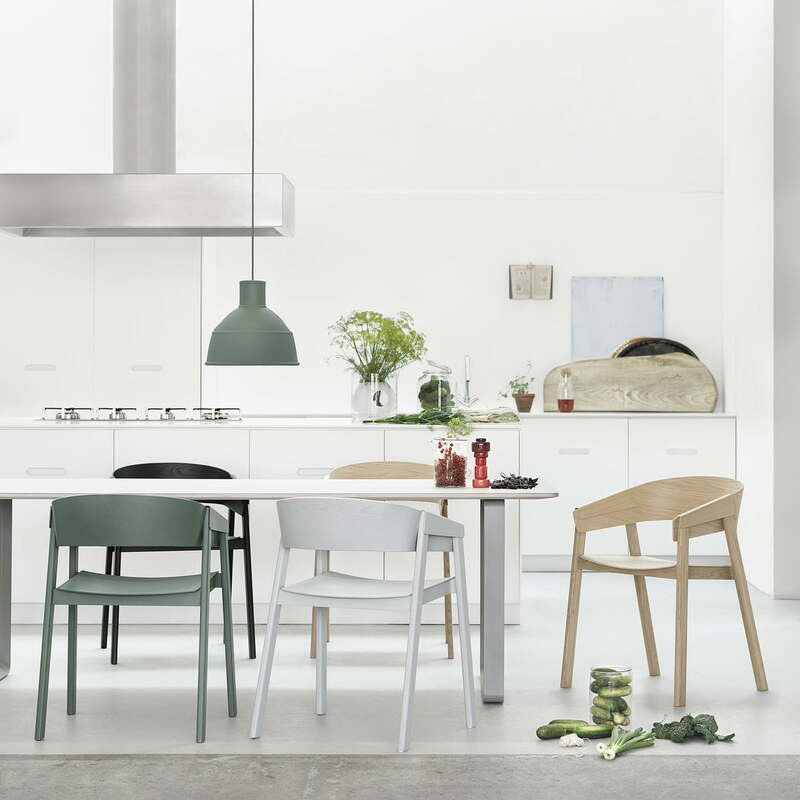 The Muuto Cover chair is also available in coloured and one cushioned edition. The coloured editions of the chair bribe because of their naturalness, as well as the unpainted wooden editions do – since the grain of the wood isn’t covered by its paint.